However, this year I found the dresses pretty underwhelming. Sure, there were some nice looks, for example, Gina Rodriguez, Helen Mirren and Lupita Nyong’o, but there were just nice. I couldn't pick at least three looks that knocked me off my feed, everything was so la-la. So, I decided to skip my Oscar dedicated post due to the lack of fabulous fashion, to continue with my spring/summer 2018 Trend Alert to get your wardrobe ready for the new season. For all you denim lovers out there don't fear denim is here to stay. The latest denim trend is Dark Denim. You can wear it head to toe like some designers showed on their runways or just single pieces. The clean look of the Dark Denim makes it more sophisticated and therefore more wearable for your 9 to 5 office job. Oh, and Dark Denim has an instant slimming effect, so you don't have to worry that this trend doesn't work for you. 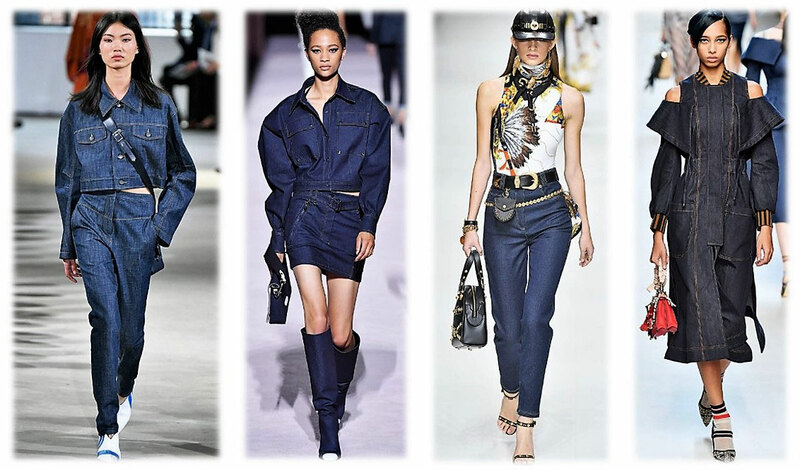 To get you into the groove of Dark Denim here are some runway and street styles rocking this trend. Der Trend ist super.Ich werde mir auf jeden Fall eine dunkle Jeans besorgen. Super; danke für die Info ! !